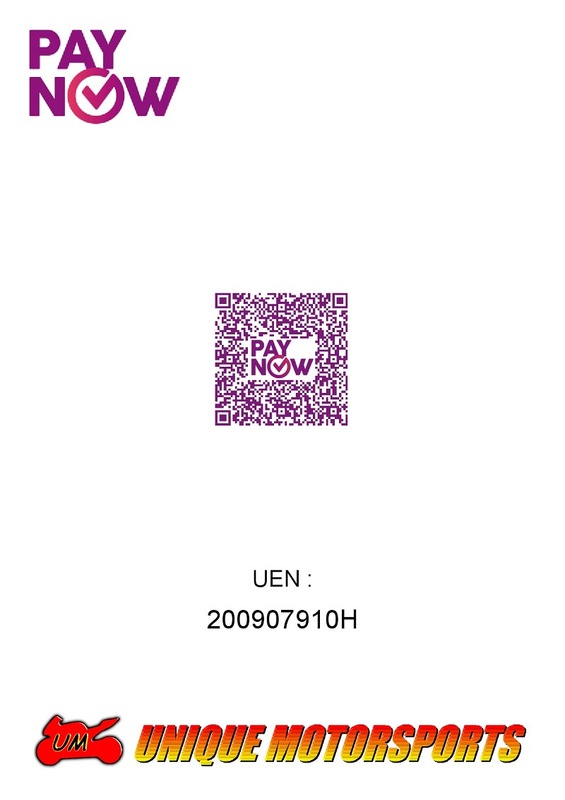 Unique Motorsports Pte Ltd accepts the following modes of payment as listed below. 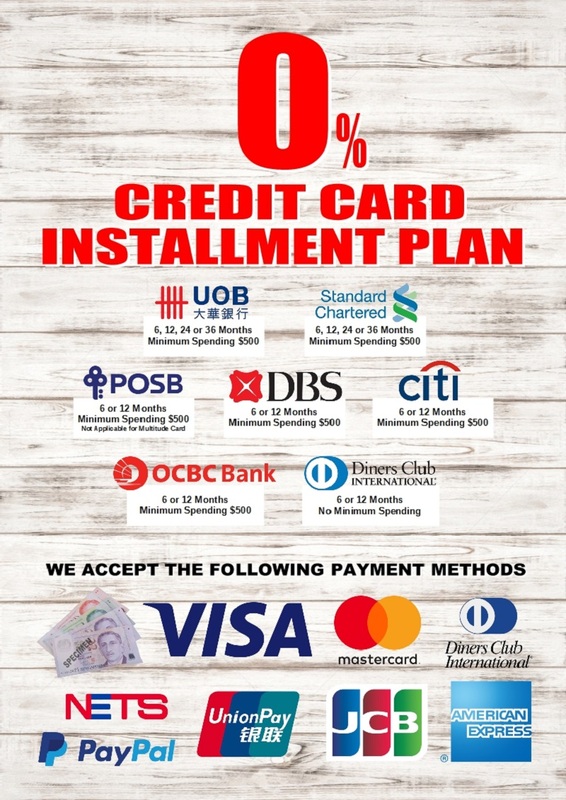 0% Interest Instalment Plans via credit card only available for payment in person at any of our outlets. We accept Visa, Mastercard, AMEX, Diners, cash & NETS payment at all our outlets. Credit Card: Payment will be done through Paypal. Please provide us with your mailing address and contact numbers after payment.